1000+ Recharge Coupons & Offers From Paytm, FreeCharge, MobiKwik, Aircel, Vodafone,Idea, Airtel, Tatasky etc Stores. Avail upto 90% Discount On DTH Recharges, Mobile Recharges, Data Card Recharges etc. Airtel new recharge offer is here!! Get Rs.25 cashback on airtel recharge payment via PhonePe. Offer applicable for all the users. Valid on payment done by PhonePe only. Minimum recharge value is Rs.199. Hurry up!! Grab the offer soon before its gone. Make transaction through Airtel Payments Bank. 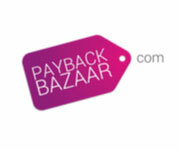 Get up to 70% cashback on recharges, bill payments, utility and online merchant payments. Airtel Broadband customer get 10 GB free broadband data every month for each Airtel Postpaid and Digital TV connection in their home. Enjoy Free Rewards. 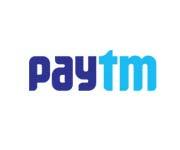 Paytm special offer for Paytm users. Recharge your Airtel recharge & bill payments and get 100% cashback on every hour for 7 lucky users. Get maximum cashback Rs.150. Airtel cashback will be credited in Paytm wallet. Valid only once per user. Best offer for Airtel users. Download My Airtel app and get FREE 1 GB data. Here is a best of Coffee lovers. Grab 15% cashback at Café Coffee Day for Airtel Payments Bank Customers. 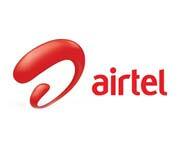 Airtel coupon code not required. Limited period offer. Hurry Up!!!! Get 5% Cashback on Airtel Payments bank. Upto Rs. 25/txn for 4 txn in a month. 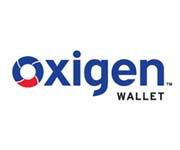 At Oxigen Wallet, get flat 25% discount on 1st recharge & bill payments using oxygen wallet app. Use coupon code before confirming your payment at the checkout page. Here maximum cashback is fixed at Rs 50. Cashback will be processed within 48 hrs from the time of the transaction. T&C apply. Hurry up. Oxigen Wallet is offering FLAT 10% cashback on DTH recharges. Offer applicable on all DTH operators, except Airtel. The maximum cashback of up to Rs.50 can be availed. Valid for all new & existing users. Appply this coupon code on the checkout page to grab cash backs. 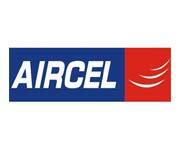 Avail 5% cashback on Aircel Mobile Prepaid Mobile Recharges and Bill payments of Rs.50 or more. Use the coupon code. Offer valid for only Aircel Old and new users. Valid up to 3 times per user. Limited period offer. Hurry up. Recharge or pay bills @ Oxigen Wallet and get FLAT 20% discount. The maximum discount you can get is Rs.50. Offer applicable for new users only. Valid only on transactions done via the app. Apply this coupon code before making payments to avail discounts. Hurry up. 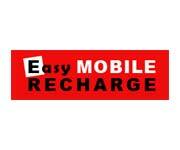 On recharge of your Mobile, DTH, Data Card at Easymobilerecharge you can get 20% discount at Faballey. Select Faballey deal to get this offer. On successful recharge Faballey coupon code will be mailed to your registered email ID. Coupon valid only once per customer. Limited period offer. Recharge now. Fresh Offer!! Get flat 20% Off and 15% cashback on all the Neulife products. Offer applicable to all users. Maximum cash back is Rs.450. Coupon is valid once per user. Hurry up!! Limited time offer. Book a Ola Cab and get 100% Cashback by using Mobikwik wallet for the transaction. Valid only on first ride. Maximum SuperCash is fixed at Rs.300. Coupon valid once per user. Hurry Up!! Avail Rs.300 SuperCash on Electricity Bill Payment done on MobiKwik App or website. Valid on minimum payment of Rs.1500. Maximum SuperCash is fixed at Rs.300. Valid one time per month/user. Offer is valid for all MobiKwik users on All Electricity operators. Avail 200% SuperCash on Add Money. Add minimum Rs.50 to get this offer. Maximum SuperCash amount is fixed at Rs.200. Valid once per user. Avail 10% SuperCash on Gas Bill Payment. Valid on transaction above Rs.300. Maximum SuperCash is fixed at Rs.200. Valid once per month/user. Book bus tickets and get 30% cashback. Valid on minimum transaction of Rs.100. Maximum cashback Rs.500. Get Flat Rs.50 SuperCash on Add Money on MobiKwik App or website. Minimum amount spend to redeem the offer is Rs.50. Offer is valid on first add money of the month. Offer is not valid for the Users who have added money or earned SuperCash in May till date.